You must make reservations at least 5 minutes in advance of the time at Market Steer Steakhouse. On the corner of Don Gaspar and Water St.
Market Steer Steakhouse offers a refreshing new take on fine dining, serving up an atmosphere every bit as charming as Chef Kathleen Crook's creative approach to classic American food. Food was delicious and atmosphere was great. Steaks were cooked perfectly. The food and service were very good, but we were bombarded by a smoky smell (which the watier explained was "smoking sage" from the adjacent bar) and the electronica music was extremely annoying. The smoky smell made us feel like we were eating dinner in an ashtray, and the music was absolutely the opposite of relaxing. This was our third visit to the restaurant and I'm not sure we'll go back. AMAZING FOOD , AMAZING SERVICE. QUICK SERVICE, DRINKS WERE NEVER EMPTY AND ALL QUESTIONS ANSWERED IN A PLEASANT HAPPY MANNER! Excellent steaks. Excellent service. A bit noisy. Good for a special event. This restaurant is going to be the best steakhouse in Santa Fe! Terrific cuts of meat on the menu, cooked perfectly. My husband had the flat iron steak with tasty mushroom side; I enjoyed the Bay scallops, appetizers bone marrow and a very tasty wedge salad with richly flavored blue cheese. Wine selection was very good with several CA and FR reds as well as a deep array of whiskeys. Truly enjoyed the meal and Chef came by the table to check on things which was a nice interlude given how busy they were. Never felt rushed or pushed to finish. Great food and excellent service, I’ve been on many occasions and a high quality steak house with lots of options. Superb wine list and desserts. It was a little noisy (hard to hear my dinner companions who were right in front of me), but I would definitely go back. Two of us had filets, both cooked to the right temp and you could cut them with a butter knife. The third person had the scallops, which were also very good. The truffle fries were delicious and a giant portion. We also had several cocktails and a nice red wine. Nice views out the huge windows. Recommended. Our service was outstanding as well as our steak. They where attentive without being bothersome. One of the best NY strips I have had!!! The decor was ok and it was loud, but the food service far out weighed those two slight negatives. Would highly recommend and would definitely eat there again when we are back in Santa Fe. Great experience from the very beginning! Wonderful food and exceptional service- will definitely return. Quite possibly the best steak I’ve ever eaten. I’d recommend the flat iron steak to anyone. My girlfriend and I ordered the fillet with the blue cheese cream as well as the roasted bruassle sprouts. By far the best I have ever had! Ended the night with taking a bourbon bound cake back to our room and it was to die for!!! Only thing I hoped for was that the blue cheese creen came out a little more creamer, other than that all the flavors were absolutely amazing. Truly recommend you eat here. Our server was amazing and very attentive as well as the manager and chef visiting our table! Amazing Porterhouse at the best Steakhouse in New Mexico. Food quality superb and the way the Executive Chef Kathleen Crook is working with the dishes opens the door to Cloud Nine. Sauces and sides just as spectacular, and with a classically French trained Chef, the best I’ve ever had in my life. Celebrating a birthday among 4 people, the restaurant was generous in its offerings of celebration. However, a giant mix up in the serving was terrible and alarming. At the prices charged, there is no forgiving serving differently cooked steaks to the wrong people. After much frustration and discussion with the waiter (who was not the one who delivered the food) and a manager, the issue was resolved satisfactorily. The management went beyond expectations to correct the problems. At first, I thought I would never return, but I think I will after the response. Ian, our waiter, was awesome. He was very helpful in suggesting food options. All were great. Ask for him if you can. Be sure and get the Cielo Serena cocktail. You will not be disappointed! Amazing food and great experience! We really enjoyed our dinners at this establishment. I had the 14oz. Prime Sirloin, which seemed much larger than that and was very tender and delicious. The wild mushrooms side dish was super yummy and also a very large serving, enough to share with everyone. My family enjoyed the entree's they ordered. Other than a table of loud cackling hens in the corner, the ambiance was perfect. The service was prompt and cordial. 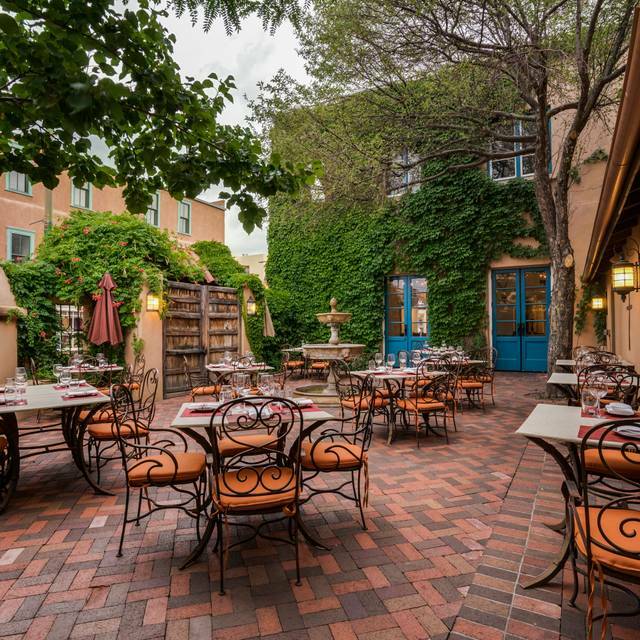 When we return to Santa Fe, we will definitely return for another meal there. Outstanding as usual! For a restaurant that just opened 6 months ago, Market Steer has achieved a high level of quality and consistency. We've been there 3 times in the past 6 weeks and will be going again soon. They have fantastic seasoning on their steaks and every one we've ordered has been perfectly cooked to the temperature requested. This last time I ordered the octopus appetizer and it was also great. It was a treat to meet the owners, Cristina who runs the front of house and her partner Kathleen, who is the Executive Chef. Both of them are very active in the restaurant, greeting guests and assisting when it gets busy. Tip: Be sure to leave room for their unbelievably good bread pudding! This is our second visit to Market Steer Steakhouse since they re-branded and opened as Market Steer. We were disappointed after a stellar first experience. Seated promptly, friendly server. Bar was backed up as usual and took us over 20 minutes to get our drinks. Doesn't seem hard to fix this one, but has happened to us on both visits. The room is small and it was so loud we literally had to shout to hear one another. Our starters, Octostada and Wedge Salad were amazing. My NY strip was perfection. The crispy brussels sprouts and potato mashers were ok. The pan seared scallops were pretty tasteless and overpowered by the risotto. Starters were served fairly quickly, mains took some time and sides were an afterthought that came as we were finishing our meal. We couldn't get the attention of our server earlier and had given up on them. They should have been removed from the bill but wasn't. It was so loud and with spotty service we decided to forgo dessert as it just wasn't enjoyable to remain. We will try again to see if it improves, but if this remains like this, it would be our last visit. We were there to celebrate my birthday and no mention of that fact until we were on our way out the door. ..why bother? The meal that we had at Market Street Steakhouse was one of the best meals we have had in a LONG time. Everything about our experience was incredible, from the time we walked into the beautiful St Francis hotel. The bar is comfortable and lively with an excellent staff and really great cocktails. The dining room is beautifully appointed as well. Every person that we came in touch with was friendly, professional and accommodating. Our waiter Billy was one of the best servers we have ever had! All the dishes we had were really incredible from the fresh baked bread, to the mussels to the whole roasted cauliflower. Christina and Kat's attention to detail in every aspect of that restaurant are worth enjoying! Although we ate mostly vegetarian dishes, they were all quite delicious. The cauliflower steak was fabulous. It was Mardi Gras evening and a marching band marched right into the hotel bar and proceeded to serenade us with loud marching band music. We didn't let that spoil and really nice evening. I do wonder if someone couldn't have asked that they tone it down a bit. We'll try it again but not on Mardi Gras! Great Food and Service. I would definitely recommend. Most tender filet I’ve ever eaten. The staff were professional and friendly. The food very creative and delicious. There were 7 in our party and all enjoyed dining at Market Steer Steakhouse. Service still a little rough around the edges. Not up to par with others like compound, geronimo, bouch, anasazi... of same price points. The food is consistently good. Waitstaff is consistently attentive. After living in two major cities with dozens of excellent places to get wonderful beef, we were very disappointed in the old-school high-end steakhouse that's served Santa Fe for some time. But now that Market Steer has opened, my wife and I have our go-to spot when we want a top-shelf meal. 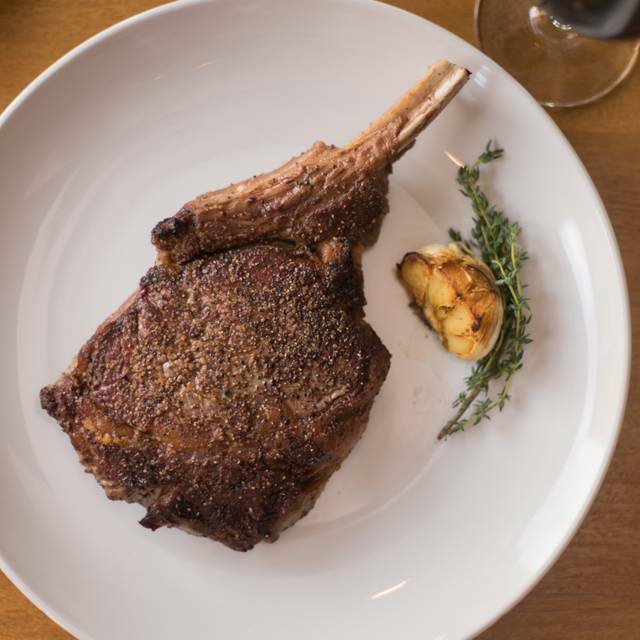 Market Steer is by far the best steakhouse in Santa Fe, but don't just go for the excellent beef (although you won't be disappointed in any of it). Go because everything -- cocktails, appetizers, salads, entrees, sides, desserts -- is going to be some of the best you've ever had. If anything is their weakest suit, it's the desserts. But the service is going to blow you away, too, as are the co-owners (one of whom is the chef) when they visit your table to talk to you and ensure you're very happy. Be sure to try the margarita with a rim of smoked salt. The octostada is an amazing appetizer -- enough to fill you up by itself -- and the NY strip is their best steak (try it with the fresh mushrooms and some bearnaise on the side). Every steak I've had at Market Steer has been cooked perfectly. I have yet to leave without feeling each bite was worth what we paid. The service was impeccable. Our waiter Billy was knowledgeable and good-natured - he made the experience enjoyable. The food was very good. We will definitely return. We went for Restaurant Week and really enjoyed the menu. The wait staff was very friendly and helpful. Great staff; attentive but not overbearing. Bar staff went out of their way to make sure we had what we wanted. And the FOOD! Wow. The steak frites will be my go to plate, and my Sweetie’s duck was stellar. We’ll be back, and soon! My wife and I ate at Market Steer Steakhouse over the weekend and had an amazing experience. Billy our waiter was exceptional as was the rest of the staff. The tex-mex mussels were phenomenal. The ingredients for this dish seemed fairly simple but a lot of flavor was packed into these tasty morsels. The steaks were cooked perfectly as ordered and the accompanying sauces were delicious. Billy sold us on the smores for dessert which we found to be a fun way to end our meal. We will definitely be coming back to the Market Steer steakhouse in the future. Amazing! Staff, food and ambiance! The chef came out to see how everything was doing. Staff was very attentive. Would definitely go back and will tell our friends about it!